As Crawford attempts to locate the final key to Face, Zero awakens and seemingly vaporizes Jellal. Realizing it is actually an illusion created by Midnight, Jellal maims his own eyes to break the illusion, and he defeats the Oración Seis. 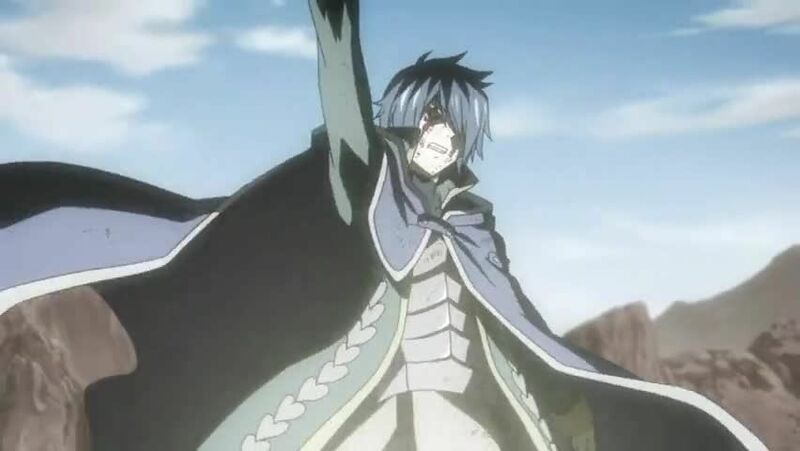 He then asks the defeated dark guild to join Crime Sorcière and aid in the battle against Zeref. Crawford manages to transfer the final key to himself, but rather than allow him to transfer it to another sacrifice, Kyôka kills him on the spot and unseals to Face. Meanwhile, the Fairy Tail wizards discover that Tartaros’ headquarters are directly above Magnolia. Before they can react, Elfman detonates Seilah’s bomb, destroying their guildhall.